Japan Home | Badudets Everything Nice! I was at the mall yesterday to do some grocery when I decided to drop by Japan Home. Japan Home is a cheapskate’s haven because everything is sold at Php 88 or Php 66. Items offered ranges from kitchen wares, office supplies, gardening tools, craft supplies and other knick knacks for the house. 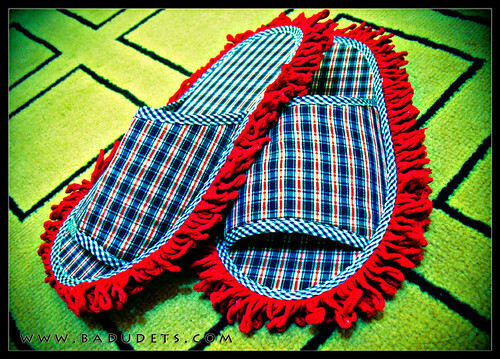 But what really caught my attention is the slipper with a rag-like sole, aptly called “cleaning slipper”.